Those that follow this blog on a regular basis know I like to seek out and explore the lesser-known attractions across the West. 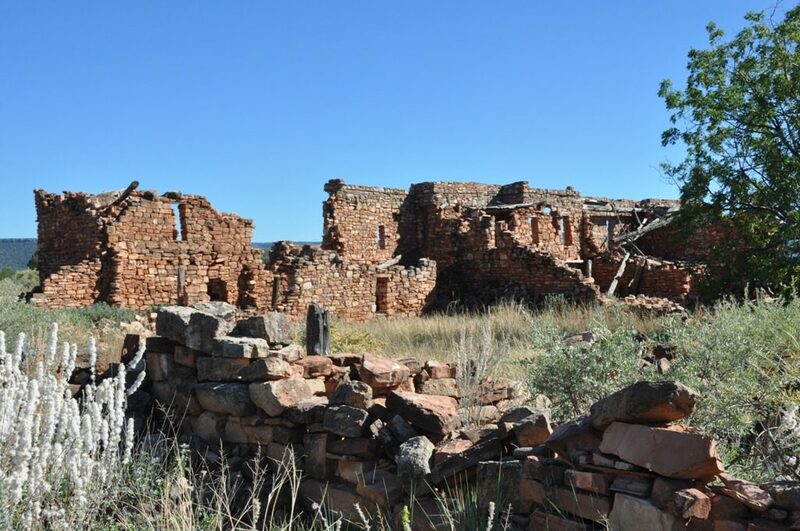 When I learned we could visit both historic Fort Apache and the nearby abandoned Kinishba Ruins in Eastern Arizona for only $5 per adult, it was added to a recent itinerary. Fort Apache was constructed between 1874 and 1932 and served as a major outpost of the US Army during the Apache Wars of 1861 through 1886, remaining a military post until 1922. In 1923 the fort became the site of the Theodore Roosevelt Indian School, which is still active. Today you can visit over 30 structures at the fort, ranging from a reconstructed early log building to the original two-story dormitories. A walking tour will take you past the headquarters building, sleeping quarters, corrals, storehouses, a guardhouse, a magazine, stables, parade grounds, and the old military cemetery. Kinishba Ruins is a large pueblo ruin containing extensive multi-room complexes constructed between 1250 and 1350 A.D. in the pre-Columbian Mogollon Era. The pueblo occupied by Zuni and Hopi ancestors originally had hundreds of rooms standing upwards of two or three stories tall. At its peak of existence, Kinishba may have housed nearly 1,000 residents. It was abandoned in the late 14th or early 15th centuries for reasons unknown. The pueblo was excavated and partly reconstructed in the 1930s by archaeologist Byron Cummings who also constructed a visitor’s center/museum (also abandoned and in ruins) just north of the site using similar materials as the pueblo, so don’t be surprised when you see wall outlets tucked in the masonry. Start your visit at the Fort Apache Visitor’s Center where you can pay your entry fees for both the fort and ruins, learn more about both sites, see a short movie, and obtain a self-guided tour map of the fort and a map to the ruins. Fort Apache is located four miles south of Whiteriver, Arizona, a short distance off Highway 73 on the Fort Apache Indian Reservation. Fort Apache is open 8:00 am to sunset daily. Admission to the fort, museum, and nearby ruins is $5.00 per adult and $3.00 for seniors (64+) and students. Children under 7 are admitted free. Apache tour guides are available with advance reservation, and special accommodations and activities can be arranged for tour groups. The road to the ruins and parking is not suited for RVs and best visited with your tow vehicle or dinghy. Ask at the Visitor’s Center where you can leave your RV while you visit the ruins, or do like my wife and I did by dropping our travel trailer just a short distance up the road to the ruins in a wide open area at N33° 47.627 W110° 02.097 and continued to the ruins at N33° 48.872 W110° 03.179 in our tow vehicle. Camping within the boundaries of the White Mountain Apache Tribe Reservation is by permit only with limited options. You can learn more and obtain a permit by clicking here. Exploring two historic sites for the price of one is my kind of adventure in RVing! 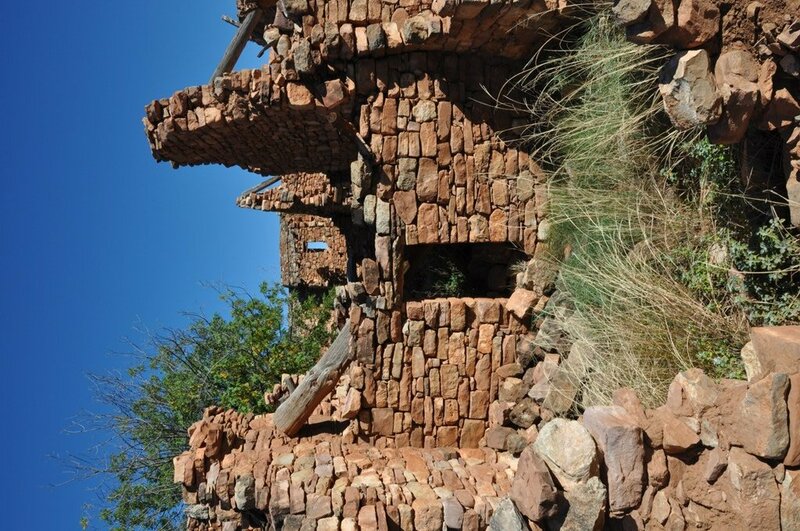 Another couple of historic forts from the Apache wars era are Ft. Bowie, which is in ruins but is open to visitors; and Ft. Huachuca, an active military base. 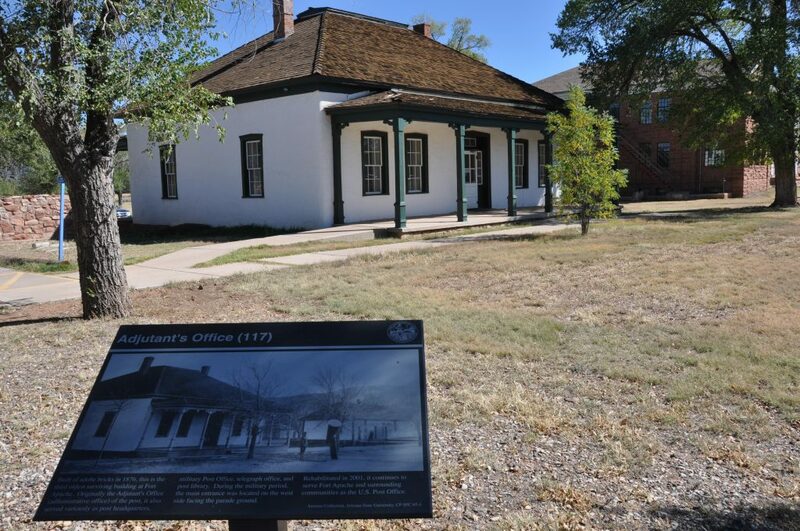 Ft. Huachuca has a great historical museum, and a number of preserved historical homes and buildings. 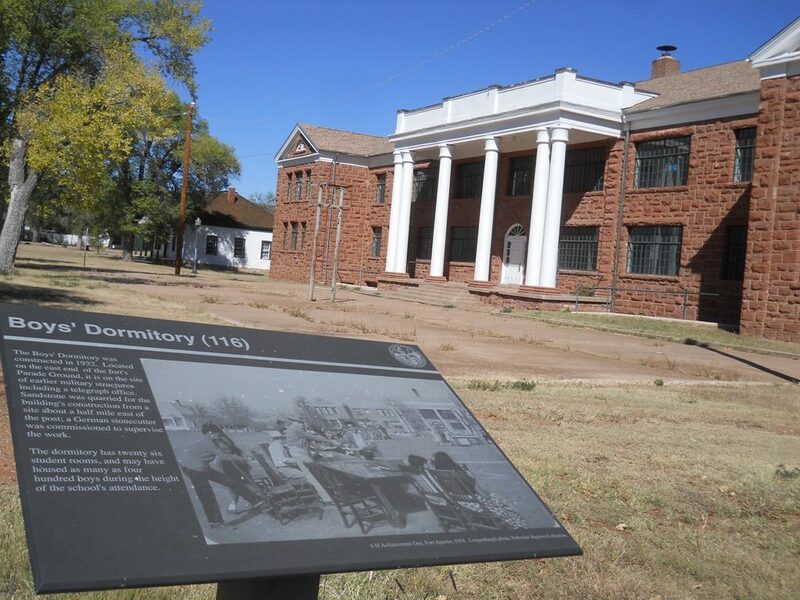 Huachuca was first built during the Apache wars but has endured to this day. Both are found in s.e. Arizona in Cochise county. And, don’t forget the Tombstone Courthouse State Park while we’re talking history .